For this Louisiana couple it was all about the sunset, for their Grand Cayman wedding today. 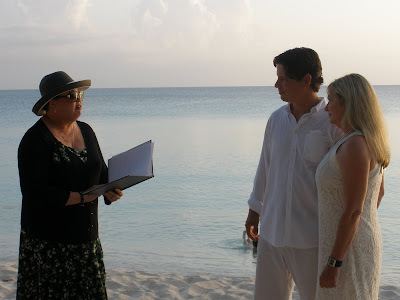 Although they were staying at Morritts in East End, they came down to Plantana condos on Seven Mile Beach where they said their "I do's" at 6:50 p.m. Just is time to get fantastic sunset pictures of Seven Mile Beach. 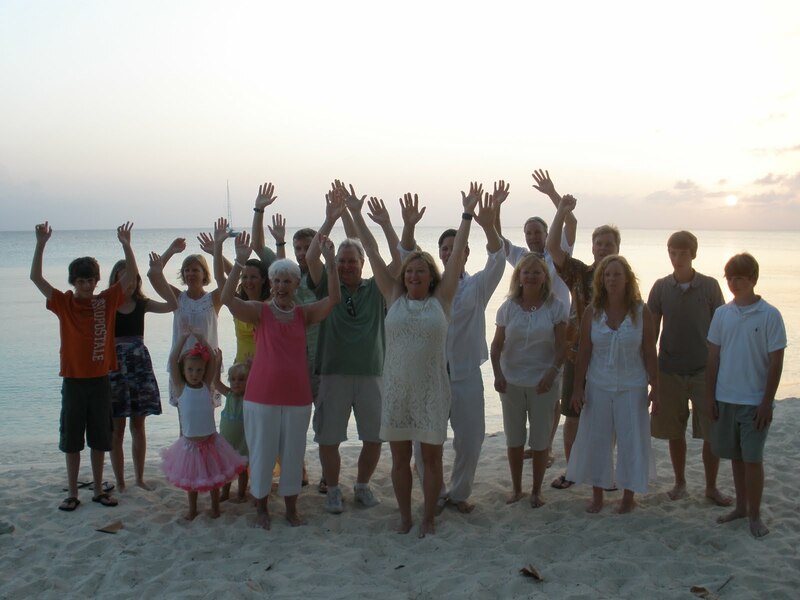 Group shot of the family who came along to be a part of their Grand Cayman wedding. 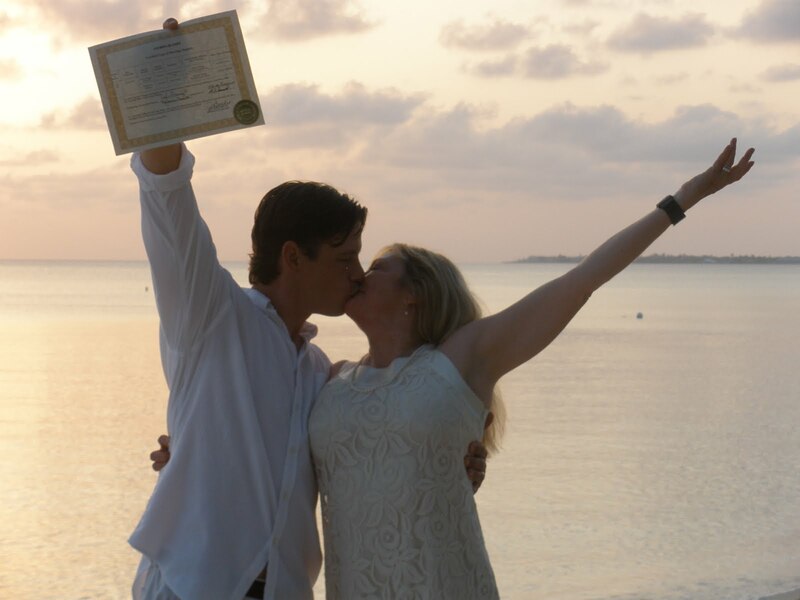 We did it, and here's the proof! 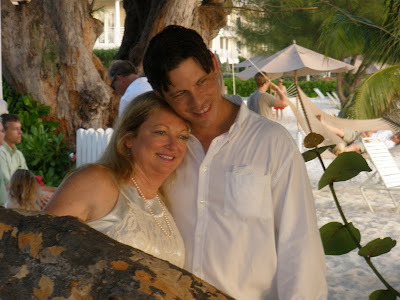 Thanks to Sam Eliot for snapping these pictures on my Olympus 370 while I was busy doing the wedding ceremony. It was a pleasure meeting this whole group, and I hope they enjoyed their Grand Cayman vacation. 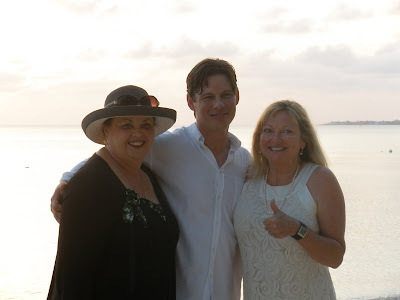 When you're ready for a Grand Cayman destination wedding or vow renewal, give Joy or Peggy a call (+1-345-9499933) for your simple, elegant, personalized wedding from Simply Weddings - Grand Cayman Wedding Celebrants and Planners. 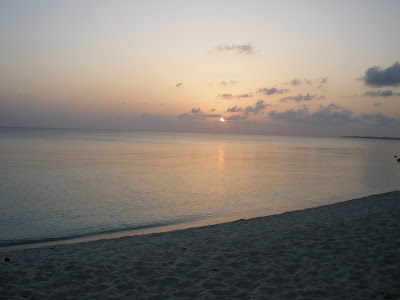 We arrange all the services needed for your Grand Cayman wedding.